Warsaw, Poland – Polish and Polish-Jewish leaders and representatives of organizations related to the history and commemoration of World War II have addressed the issue of the deterioration of historical remnants of Konzentrationslager Gusen, a part of a former KZ Doppellager Mauthausen-Gusen concentration camp. 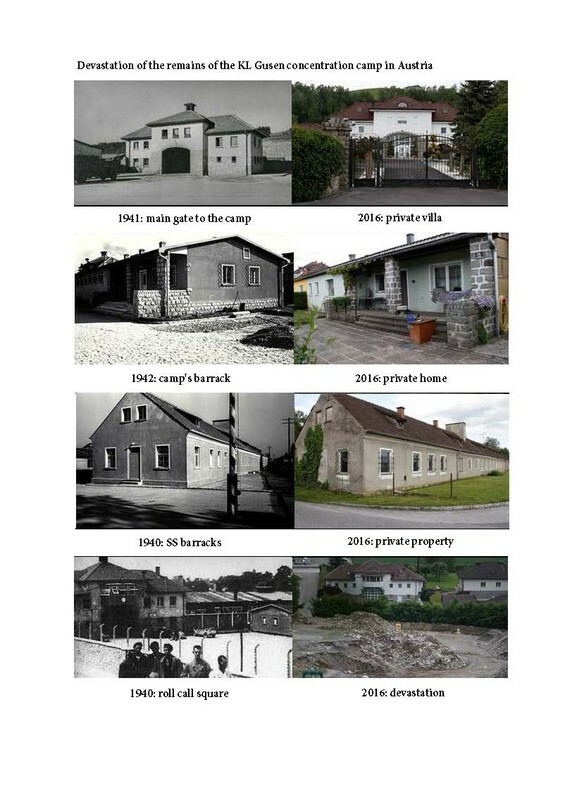 This Nazi operated camp operated between May 25, 1940 and May 5, 1945, east of Linz, Austria. They have written an open letter to Wolfgang Sobotka, Minister of Internal Affairs of the Republic of Austria, in which they demand a proper recognition and care of the site that witnessed forced labor and mass murder of thousands of Polish, Austrian, German, and Hungarian citizens, as well as the representatives of other nations. There were Christians, Jews, Roma people, and political prisoners among them. Some parts of the site have been converted into private homes, some have been completely neglected or devastated. The signatories include Robert Kostro, Director of the Polish History Museum in Warsaw, Prof. Barbara Engelking, Chairwoman of the International Auschwitz Committee, Dr. Łukasz Kamiński, Director of the Institute of National Remembrance, Prof. Andrzej Kunert, former Secretary of the Council for the Protection of Struggle and Martyrdom Sites, Prof. Paweł Machcewicz, Director of the Second World War Museum, Jan Ołdakowski, Director of the Warsaw Rising Museum, Prof. Paweł Śpiewak, Director of the Jewish Historical Institute, Michael Joseph Schudrich, Chief Rabbi of Poland, Prof. Dariusz Stola, Director of the POLIN Museum of the History of Polish Jews, and Marek Zając, Secretary of the International Auschwitz Committee. Read a related article with more information about the history of the KZ Doppellager Mauthausen-Gusen concentration camp and a link to an electronic petition. Read the open letter in tranlsation: open-letter-to-austrian-minister-of-interior-re-mauthausen-gusen-cncentration-camp.pdf.